The topic of fake news has been in the news a lot of late partially due to its possible impact on the last U.S. presidential election—since that time, public figures such as Mark Zuckerberg, CEO of Facebook, have vowed to cut down or eliminate fake news from social media. Fake news persists because it is used as click bait; unfortunately, it can have unintended consequences, such as people believing the information they find in such articles—this may be more likely to occur, the authors of this new research have found, if the reader is with other people. 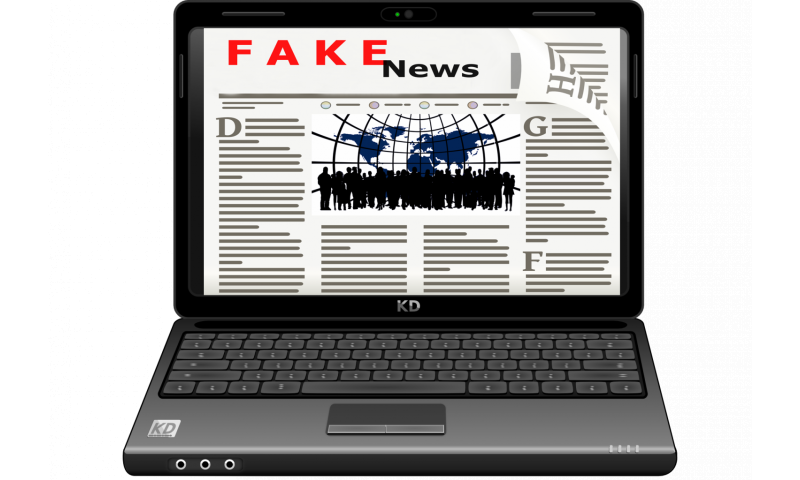 In practice, it should be easy to avoid falling prey to fake news—upon reading something that may not sound right, all a person has to do is type a few words and run a Google search. But people do not always behave in logical ways. In this new effort, the research trio sought to better understand fact checking by conducting eight experiments designed to determine under which circumstances people are more or less likely to fact check a news article they have just read. The researchers enlisted the assistance of 200 people, all near 36 years old. In the experiments, the volunteers were asked to read a news article and then to perform some tasks related to their feelings regarding the accuracy of the article. The researchers report that across all eight experiments, they found the volunteers were less likely to do fact checking when they were in the presence of other people—even if it was indirect, such as on social media. The experiments did not reveal why the people acted as they did, but the researchers suggest it was likely due to one of three things: something they call social loafing, which means the exertion of less effort on a task in the presence of other people; people unwilling to go against social norms; or because of muted responses due to crowd vigilance. Today's media landscape affords people access to richer information than ever before, with many individuals opting to consume content through social channels rather than traditional news sources. Although people frequent social platforms for a variety of reasons, we understand little about the consequences of encountering new information in these contexts, particularly with respect to how content is scrutinized. This research tests how perceiving the presence of others (as on social media platforms) affects the way that individuals evaluate information—in particular, the extent to which they verify ambiguous claims. Eight experiments using incentivized real effort tasks found that people are less likely to fact-check statements when they feel that they are evaluating them in the presence of others compared with when they are evaluating them alone. Inducing vigilance immediately before evaluation increased fact-checking under social settings. This study provides some explanation for why mass rallies are so popular with Hitler's Nazis and Trump's Republicans: fact-free loves company. Among other things, the "researchers" carefully avoid other explanations for not spending time "fact checking". For example, you're likely to have equal numbers of statements for and against a claim. And, as is often the case, the "side" that favors one political ideology is as flawed as the "side" proposed that supports the others. Too, when in the company of others, many choose sharing company rather than weeding through "news". Also, many can have enough automatic information at hand to answer their questions about a claim. And note EmceeSquared's Democratic Party favoring fake news suggestion. Indicating that Democrats never have mass meetings. Democratic Party campaign whistle stops consist of the candidate speaking one-on-one, individually, to each potential voter. So there was no Million Man March, no massive demonstration against nuclear weapons in New York, no mass march for women, no mass march for "science". That's a heap of wrong there, julianpenrod, a load of excuses that merely confirm you're securely embedded in the fact-immune Trumpy masses. julianpenrod's post should be invoked whenever they pretend to understand anything. Facts are not determined by checking which of for/against claims are more numerous. That approach is one of the most basic and obvious fallacies that rightwing news, like Fakes News, depend on to propagandize their dimwitted mass audience. julianpenrod also invokes a strawman fallacy, because I never said anything about Democrats or their mass rallies. Oh, and I am not (nor have I ever been) a Democrat. From "fake news" to just "censoring news". Doesn't seem like there needs to be any changes or studies to achieve that as we've already had plenty of dictators implementing it.